This division caters to the Upstream/Mid/Downstream Oil and gas industry for Offshore and Onshore Projects. The core team has a vast experience to develop, design, engineer and provide Project management solutions for products which include Marine Vessels, Offshore Accommodation Modules, Living quarters, Additional Living quarters, Technical Building, Substation Modules, Control Rooms, and Switchgear Modules. 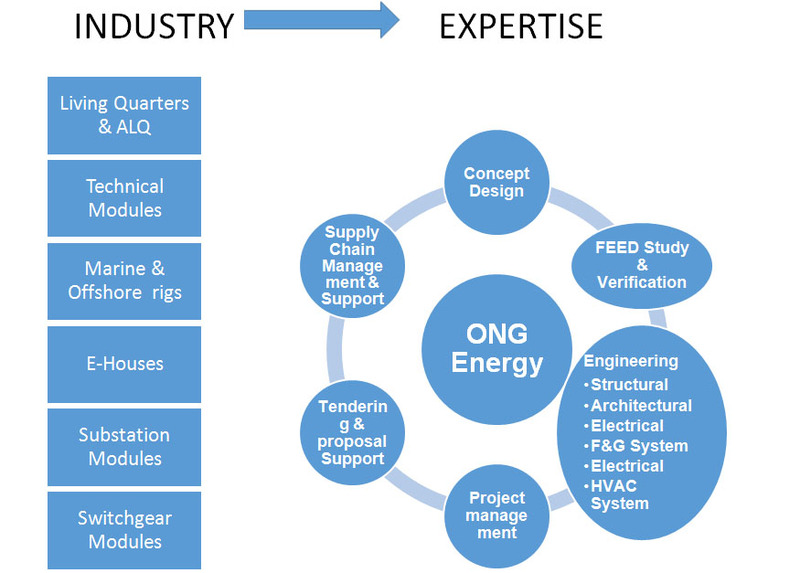 ONG Energy consultants have experienced personnel available to conduct such contracts. ONG is presently in discussions regarding contracts in India, Dubai, Malaysia and Indonesia. This division caters to the Upstream/Mid/Downstream Oil and gas industry for Offshore and Onshore Projects and Power/utilities industry. 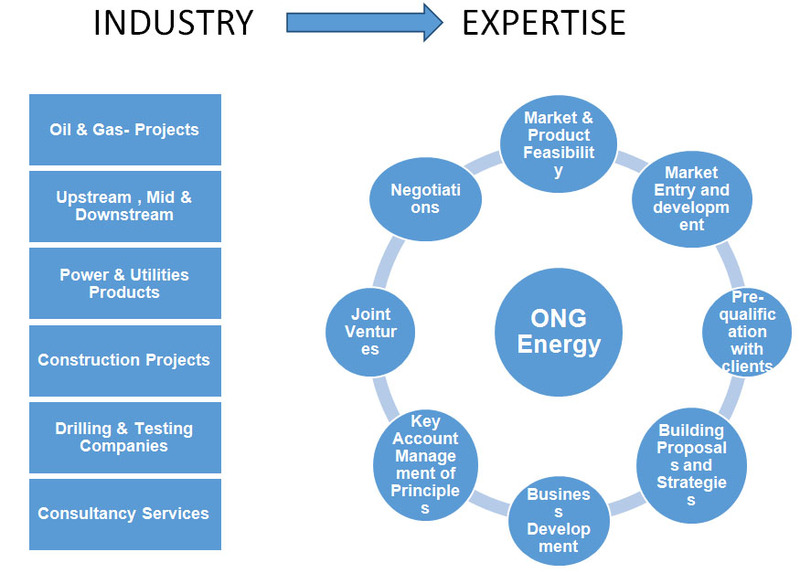 We provide Business development support to various organizations in terms of Representing the companies within the specified region (Middle east and Asia Pacific markets), Opportunity identification, Pre-qualification with respective clients, Support in vendor selections, competitor assessment and building a winning proposition for Bids and Projects within the region. This includes a team of highly networked individuals to carry out business development for required clients within EPC and contractor network.